President Buhari recently complained the IGP of police was always too slow to act with the intelligence at his disposal. More than a thousand deaths in less than a month, what's happening? The marauding herdsmen have been on killing spree and no one has been prosecuted after Miyetti Allah cattle breeders claimed responsibility. 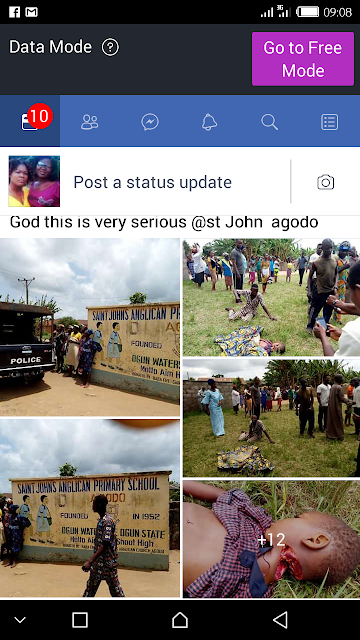 Just yesterday a primary school kid below 5 was murdered and butchered by unknown attackers at the Saint John Anglican primary school, waterside Ogun state. Just see pictures, how long would these killings go on?